The images reveal a sleeker and more aggressive look for the car, with a more sharply steeped A-pillar than the current model and a slightly wider front. At the rear, a new tail-light graphic can clearly be seen in some of the shots, revealing a large circular design. The front grille also appears to be slightly wider and looks to be sitting lower, while the body appears to feature a more fluid design. 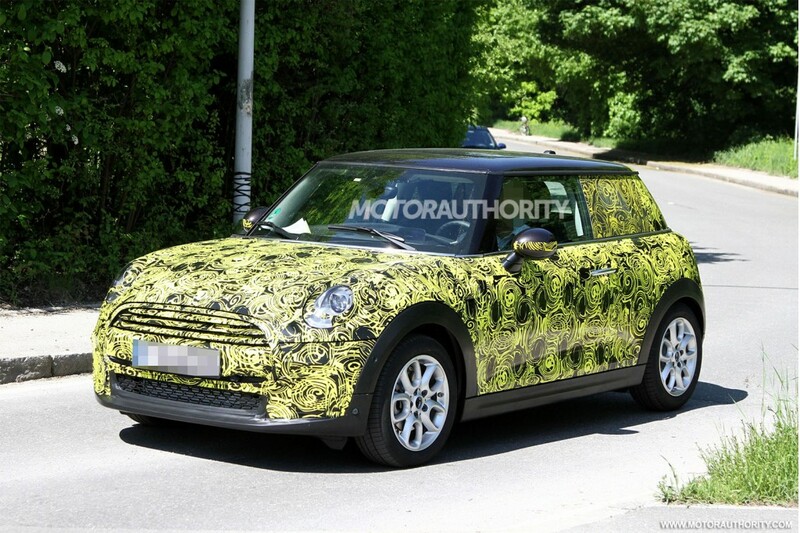 An earlier image captured the upcoming MINI next to the current-generation car, highlighting the differences (and the similarities) in their design. A closer look at the interior in the latest shots also gives an idea of what to expect for the cabin, confirming that the latest MINI series will maintain the round-gauged retro look (previous prototypes had a makeshift BMW 1-Series interior), albeit in a toned-down fashion.